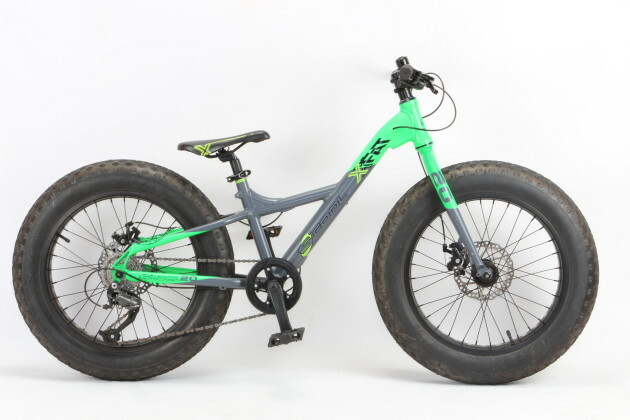 A 20-inch fatbike - cool eh? 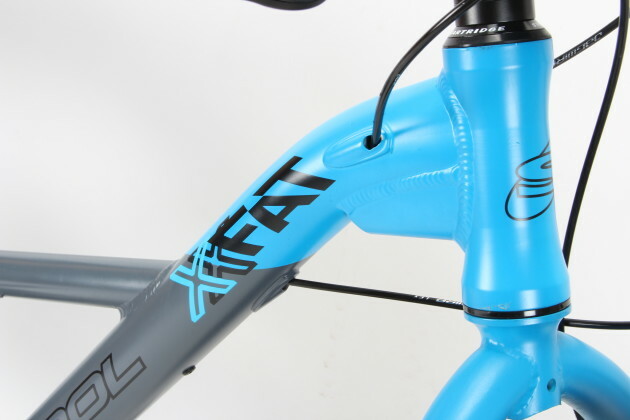 The XXfat 20 is recommended for riders over 125cm. True 4.0 fat bike tyres on 80mm wide alloy rims - some serious flotation right here! You'll find Tektro Novela cable discs at both ends. 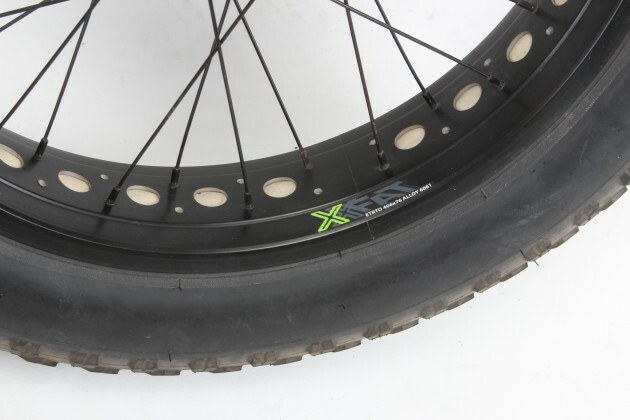 The XXfat 24 is aimed at riders over 135cm and features 24x4.0 tyres. Both S'Cool models have alloy frames with internal cable routing and super low top tubes. Fatbikes for kids? At first I laughed but then the idea started to sink in. The idea of a proper fatbike for younger riders makes a hell of a lot of sense. I’ve got two girls aged six and nine. They have regular BMX/MTB style bikes and we often take them riding on the local cycle path. 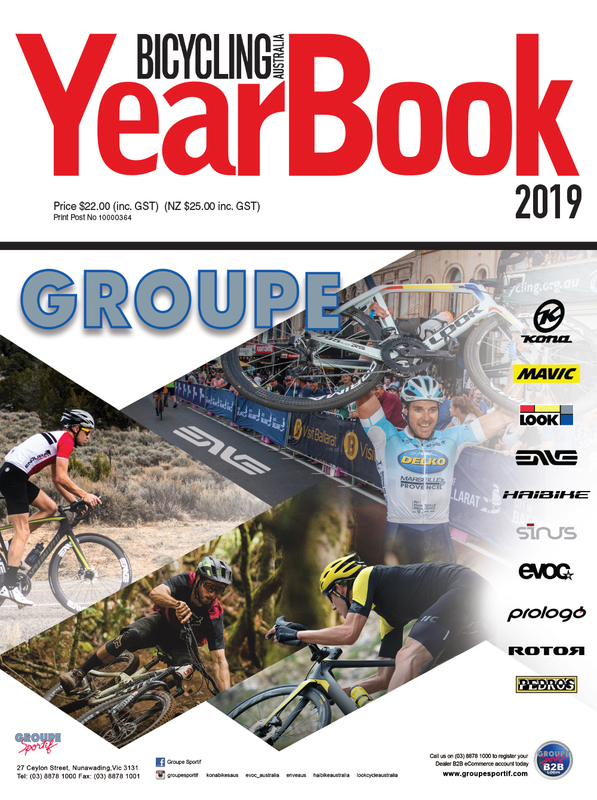 I’d love to take them out in the bush but our local trails are simply too tough—they are either too steep or too technical. It’d be great to have some green rated trails as an introduction to off-road riding but there’s nothing around and even the one or two flatter fire trails are littered with soft sand traps. Enter the fatbike; we mightn’t have kid-friendly off-road riding but like many parts of Australia we do have many kilometres of beautiful sandy beaches. Our beaches are long, flat and entirely car-free—the perfect place for a family pedal, plus a swim at the end if it’s a warm day! With these thoughts in mind, we recently checked out S’Cool bikes as they have two kids’ fatbikes in their line-up. The XXfat is offered with either 20 or 24-inch wheels. Both use 4.0 inch wide Vee Tire rubber mounted to 80mm wide rims. That’s as wide as you’ll find on an adult sized fatbike; it should provide some serious flotation with a lighter rider aboard. 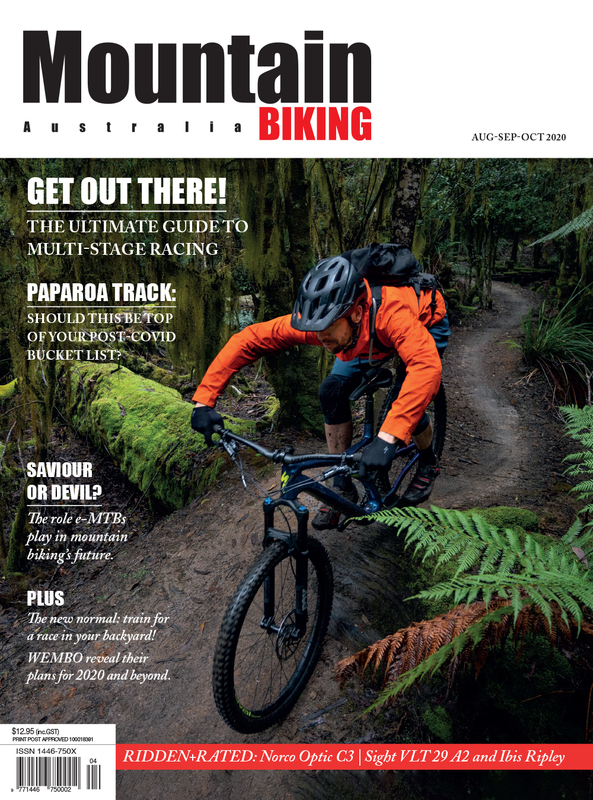 Aside from beach riding, the big rubber and single digit tyre pressures gives a massive increase in traction which makes regular MTB trails a little easier for kids to manage. The frame is alloy and features an extremely low top tube to make hopping on and off as easy as possible. The 20-inch is recommended for riders over 125cm while the XXfat 24 should be safely rideable for those over 135cm. 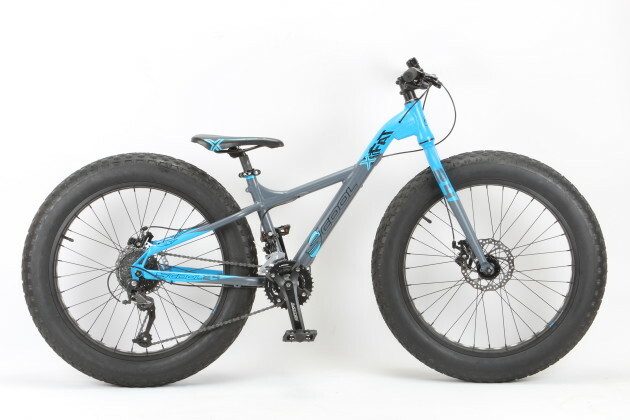 Weight is often an issue with fatbikes but the alloy frame and rims has kept the bottom line reasonable; the XXfat 20 weighs 13.3kg while the 24-inch is 15.1kg (both measured on our scales with pedals fitted). 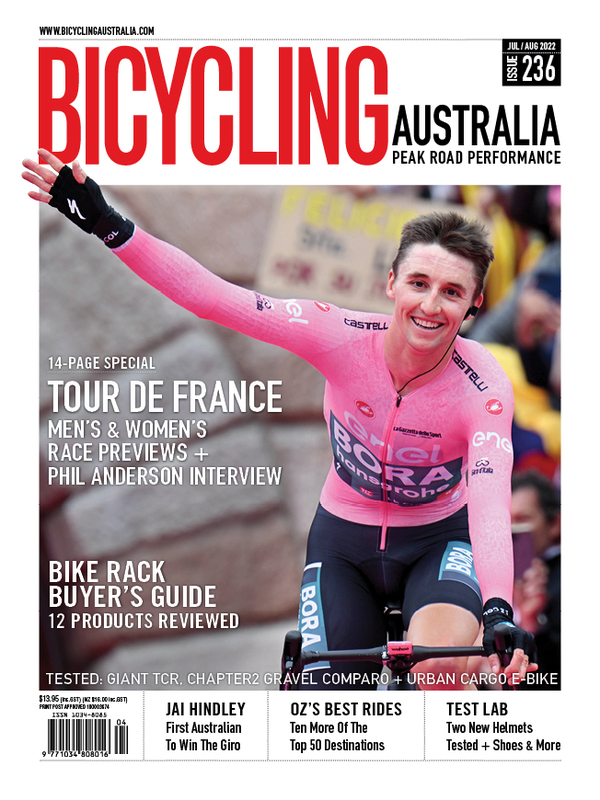 The gear spec seems okay for a kids bike too. Both run cable disc brakes, proper A-headset style MTB stems and Shimano trigger shifters. Gearing wise the XXfat 24 has an Altus level 2X9 drivetrain while the XXfat 20 keeps it simple with Shimano Altus 1X9. Both sizes in the XXfat sell for $999—certainly not a cheap bike (especially if you need two) but not that much more than a couple of iPads, and I know what I’d prefer them to be playing with!